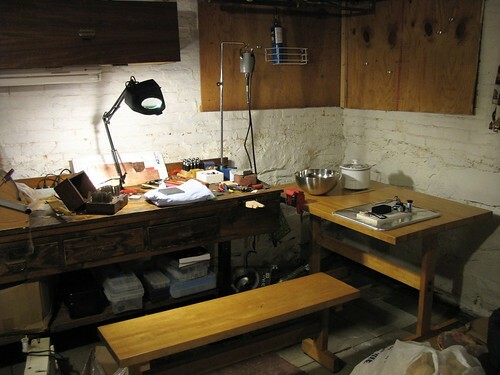 I've switched from renting studio space to working in my basement with my own tools! I'm so excited to have my space right downstairs from me. Today I made a pair of earrings, and it went very smoothly. I'm planning for more regular updates to this blog as I work on new stuff downstairs. Definitely more process photos and descriptions of how I make the things I make. I have fresh batteries in my camera and everything. Stay tuned! Things made in my very own studio!